On this eternal quest to curate an impeccable wardrobe, shirting makes its case. Wearing Jonathan Simkhai shirt, Iris & Ink culottes, and Jil Sander bag. Shirting has all the elements of a worthwhile investment in its timeless aesthetic, but exactly what makes it a proliferative trend? Fresh updates with double-duty details for Spring 2017 is just my theory. 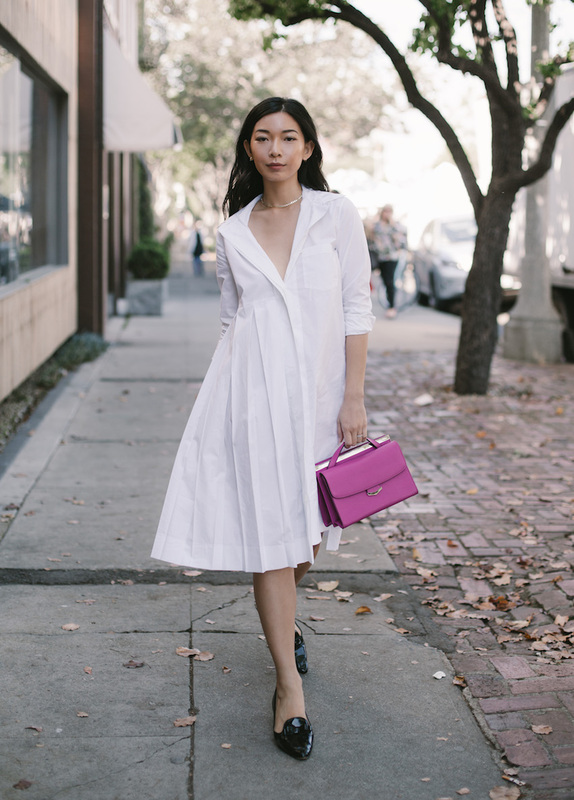 Cutouts, asymmetric pleating, and modern silhouettes are some of the coolest details to come from my favorite shirting options from THE OUTNET.COM. Check out more from my feature on Who What Wear! Wearing Marni shirtdress and Fendi bag. In partnership with THE OUTNET.COM and Who What Wear. I can't get over your skin, it's glowing, beautiful, oh my...also, the photographs are great! Love both outfits! Esp the heels in the first one. Amazing.